The Woodcutter – Welcome to InflatedStory.com! One of the most natural sculptures I photographed for the book was the woodcutter. Only God knows whether he happens to look like anyone in Noah’s family, but I like to think of him as Japheth. Balloons work well for making a ripped balloon person, and I had spent enough time making large balloon people that the sculpture was comfortable for me. Plus, I decided the forested area near my then home in Atlanta, TX would be perfect for the photos. It is the only set of pictures that didn’t require a plane, boat, or car to obtain. All I had to do was step out onto trails I regularly used to jog and meditate. My friend Joanna holding the woodcutter balloon sculpture in place for a photo. I rarely know what to do with large sculptures once I am done with them. 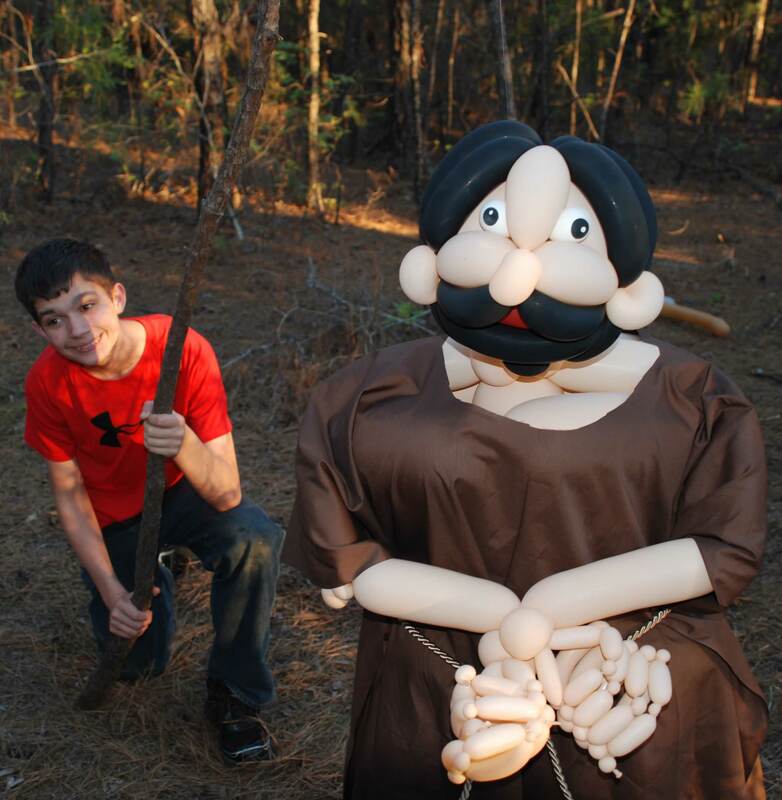 Interesting things happen to a giant balloon sculpture that’s free to roam. 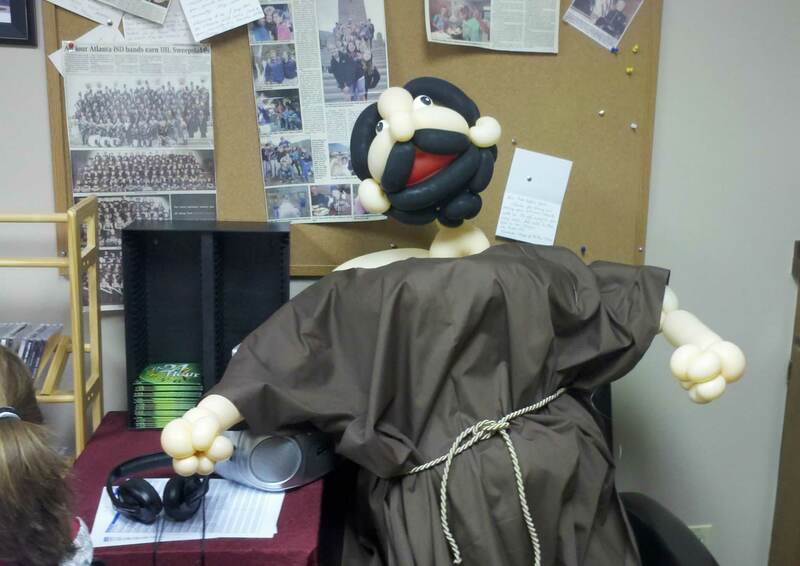 After the woodcutter was complete, he made his way to my office for a while and then rode to Pensacola, FL with me for my first in-person interview at a church I would eventually serve. It was an entertaining conversation starter to drive up to a prospective church with my buddy Japheth in the passenger seat. 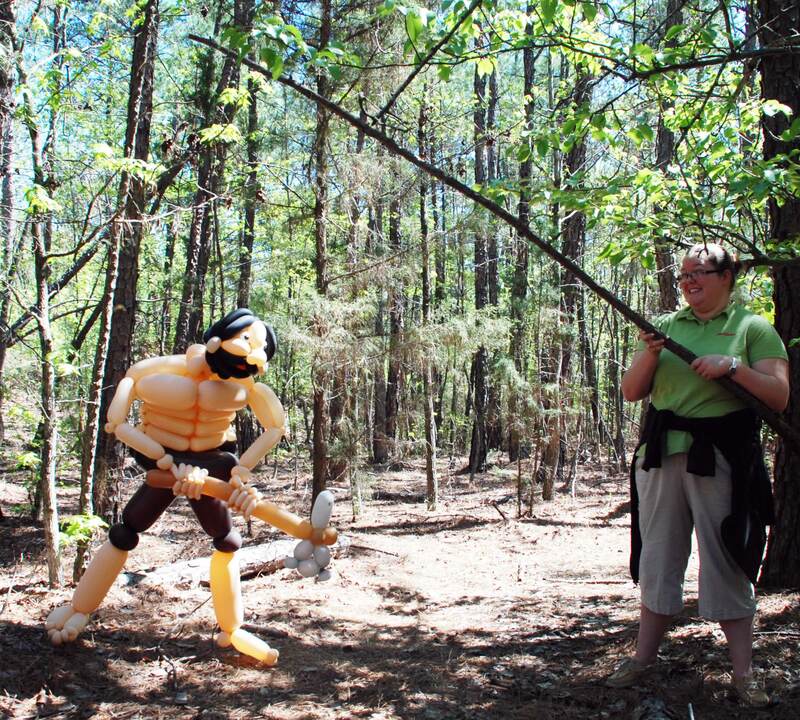 The woodcutter took much-needed rest in my office after a grueling photo shoot. Perhaps the most special part of creating the “Inflated Story of Noah” has been the people along the way. Strangers who have been fascinated, new faces who have enthusiastically helped, and—most of all—friends who have supported me. In this case one of my helpers, and a supportive friend, was a student named Caleb Creel. At the time, Caleb was in my youth group and lived right around the corner. He was as nice and friendly a person as I have ever met. Tragically, Caleb and his father were killed in an accident caused by a drunk driver at the end of 2015. He was too young and our world has lost someone special in the too-soon passing of this 18-year-old student. Whenever I see this sculpture, I will remember him, and I hope you will as well. Don’t drink and drive. If you don’t care about your life, then please consider the lives of those you might encounter on the road. Caleb was one of my helpers while photographing the woodcutter. He was taken from us too early in an accident involving a drunk driver. You will not be forgotten Caleb. 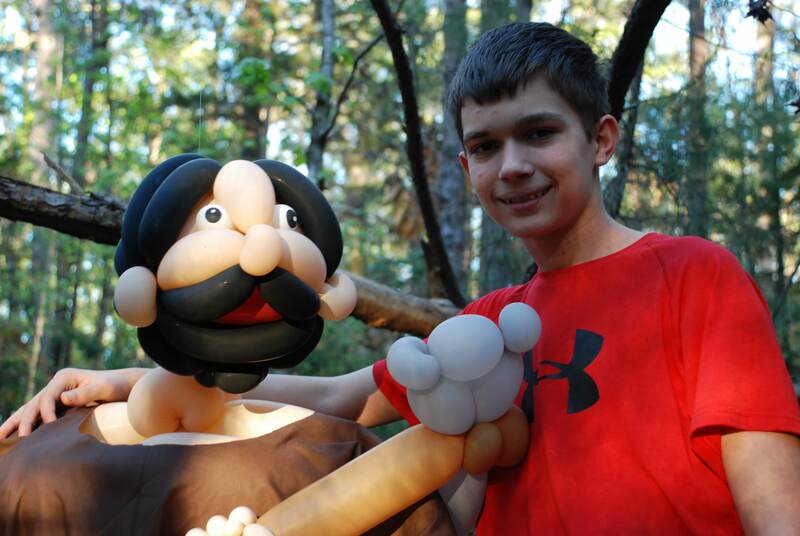 Caleb holding up the woodcutter balloon sculpture for a photo.